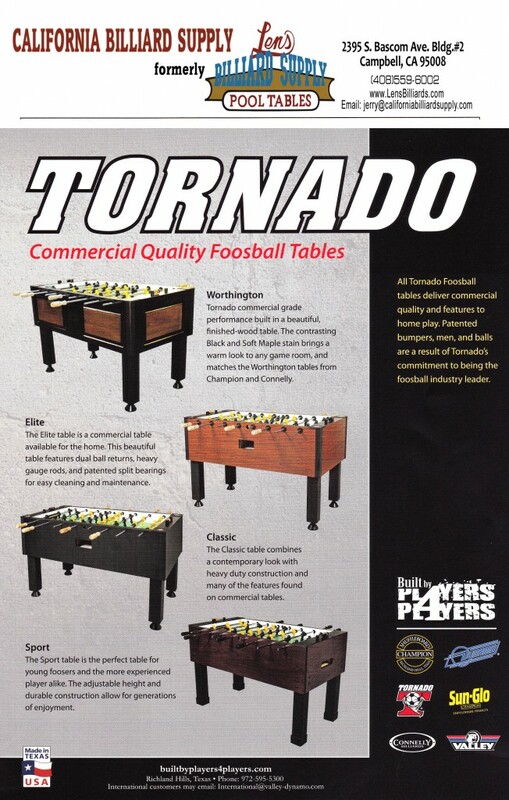 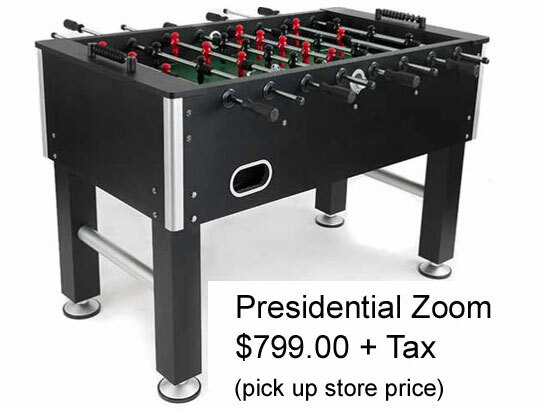 We are an authorized dealer and distributor of Tornado/Dynamo, Olhausen, Atomic, Brunswick, Imperial, Presidential Foosball tables. 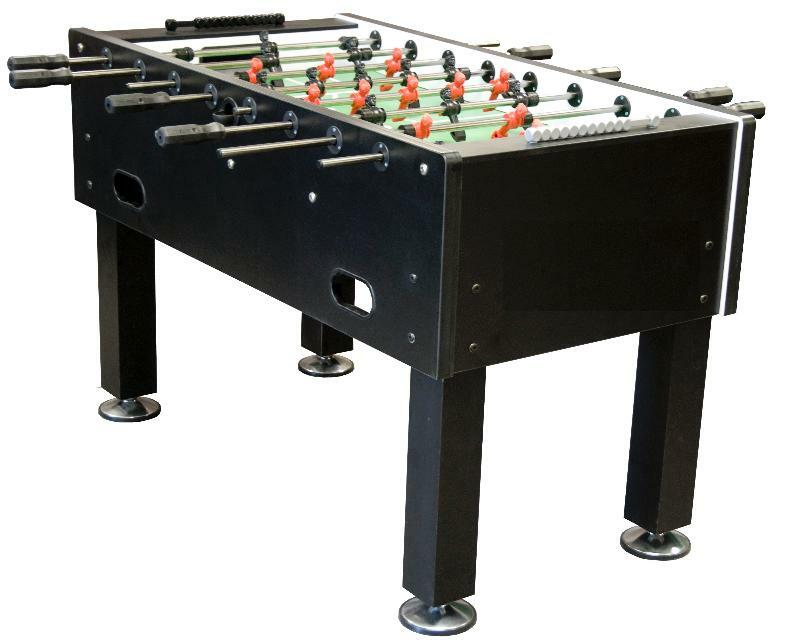 We also carry other manufacturers for commercial and consumer tables. 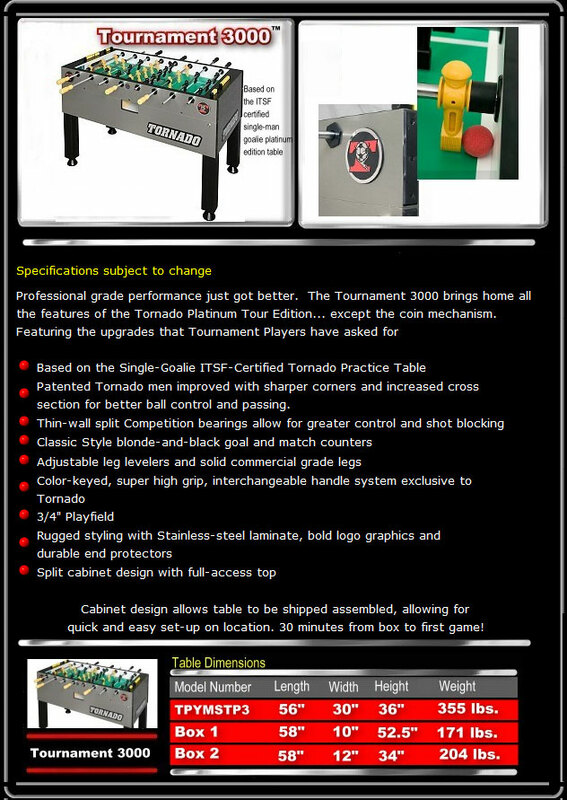 Please call us at 1-408-559-6002 for more info.! 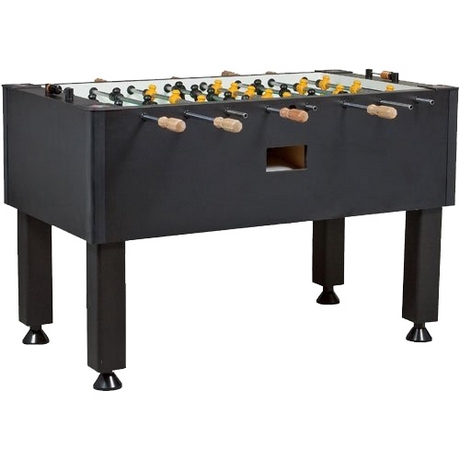 Here are some of the more popular models that we sell and install!